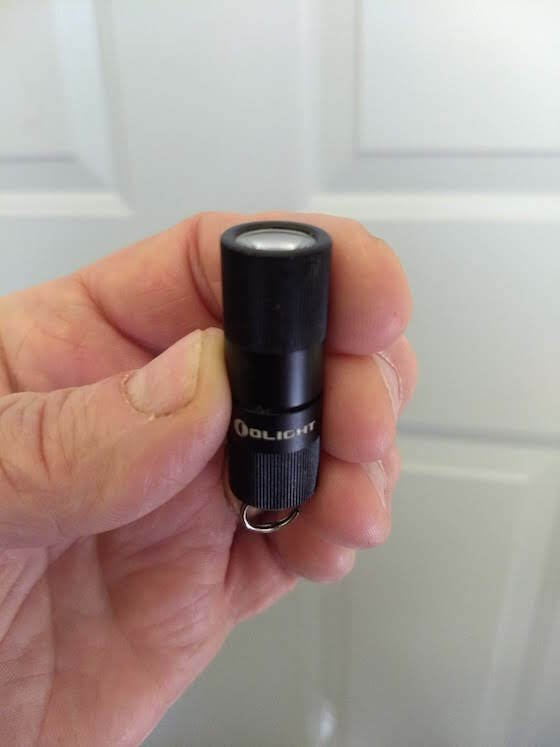 My friend Jim Cluett gave me a Olight I1R EOS keychain flashlight for Christmas. It's already come in handy three times in the past three weeks! CLICK HERE to order one of these great little flashlights. You'll never regret having this tiny tool on your keychain! 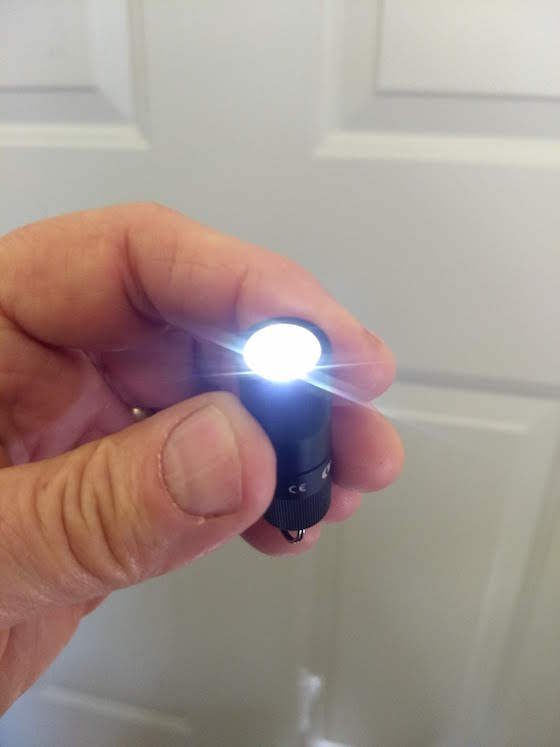 How Small is the Olight LED Keychain Light? This magnificent aluminum LED light is just 1.5 inches long and 9/16th inch in diameter! How Do you Turn It On and Off? You twist the light to turn it on and off. It has a low and high light setting. The LED is blinding. It's extremely bright. You'll not be disappointed. CLICK HERE or the image to order this light now. Does it have a Rechargeable Battery? Yes, the Olight I1R EOS has a tiny rechargeable battery. It comes with a mini USB charging cable. How Do you Access the USB Charging Port? 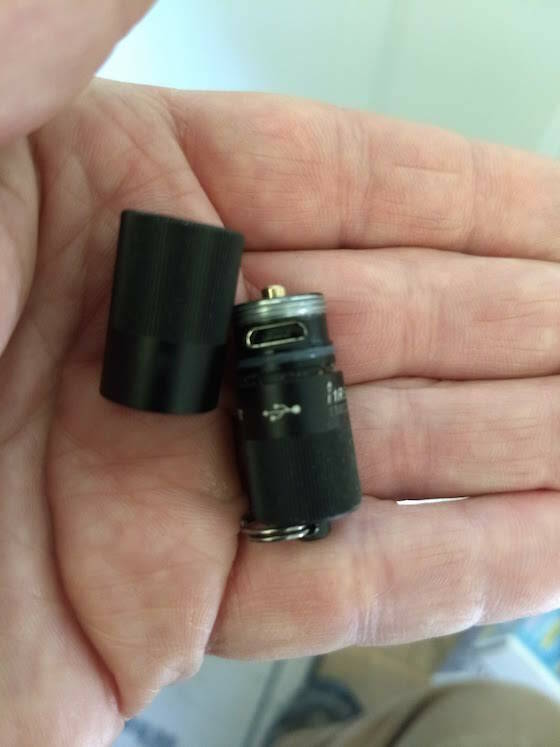 You just unscrew the lens part of the Olight to access the micro USB port. You should be able to see the micro USB charging port just below the aluminum-colored threads. The lens barrel is to the left. CLICK HERE or the photo to have one of these delivered to your house in days. You didn’t state how many lumens this is. Could you clarify? Lots of lumens. More than your eyes could ever handle. What's your minimum requirement? How many lumens are too few for you? CLICK HERE to discover how many. I have one of these lights. They are great when in a restaurant and need a light to read a menu. There are two light settings low and high. High is very bright. Tim you are correct saying this is a bright light. For its size, I've never seen anything like it. I have a more well known brand on another key chain, it is a minor leaguer compared with the Oolight, and cost more. I was so impressed, I bought their PL-MINI Valkyrie LED Weaponlight to mount on my home defense weapon. So far both items by this company have been flawless in their operation.